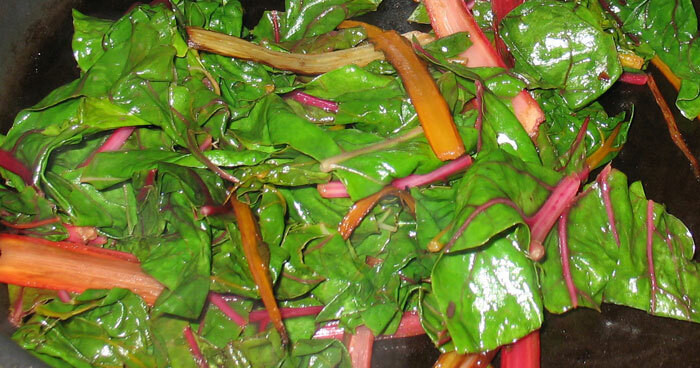 The key to making good chard is to know that the stalks and the leaves take different times to cook. 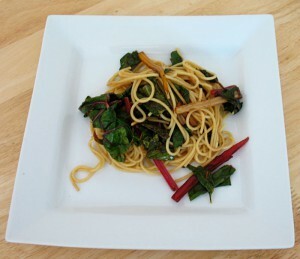 I ended up with green gunk because the stalks took so long to cook that the leaves were way overdone. This time I remove the stalks and cooked them separately in a little oil and garlic, until they were just starting to caramelise. 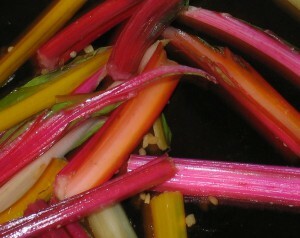 Add the chard stalks, oil and garlic to a frying pan, and cook under a high heat until they are just starting to caramelise. 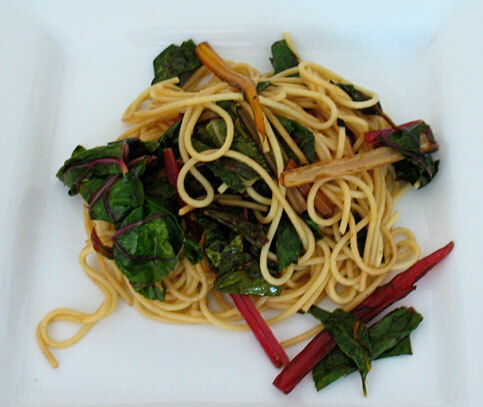 I cooked it like this for under five minutes, tasting the chard along the way. When it stops tasting too bitter I added some cooked spaghetti, olive oil, a pinch of salt and some black pepper. Funnily enough now we are both looking forward to the next time I get it in my vegetable box!